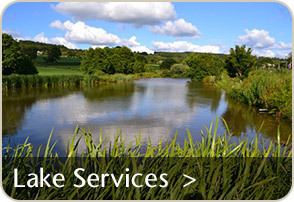 Aquavision (based near Inverness) is one of a handful of companies based in Scotland which spcialises in providing Pond services. For over 15 years Aquavision has been designing and building ponds of all shapes and sizes for both private and commercial clients. Whether the pond is large or small; has been lined with a rubber liner, fibre glass, clay or concrete, we have the expertise to create a stunning spectacle specifically designed to meet our clients requirements. 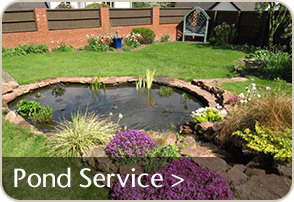 Our extensive experience and knowledge enables us to solve problems often experienced with ponds. Indeed much of our work is involved with refurbishing existing ponds where our specialist knowledge is key to a successful outcome. Aquavision's extensive experience in providing maintenance services for ponds allows for an ecological balance to be maintained, ensuring that the pond, lake or water feature looks 'cared for' and attractive throughout the year. With over 30 years of experience in aquaculture including the provision of consultancy services for a range of different species, rearing regimes and fishery enterprises, Aquavision is ideally placed to bring a project to fruition or solve a challenging problem. Our consultancy service provides advice, design & planning, project management and training within diverse areas including freshwater aquaculture, fisheries management and pond & lake projects. Trained in ISO 14001 Environmental Management Standard, Aquavision is able to provide auditing services within aquaculture for a number of quality standards including GLOBAL.G.A.P., Protected Geographical Location (PGI), Scottish Aquaculture Code of Good Practice for fin fish aquaculture, Label Rouge 33/90 and Quality Trout. 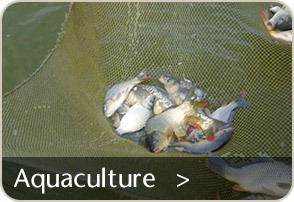 In the past assessments and training have been carried out in the RSPCA's aquaculture standard and the Aquaculture Stewardship Council's trout standard. 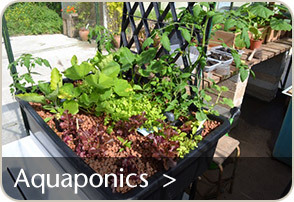 Aquaponics is an integrated approach for growing plants and fish by successfully applying the principles used in hydroponics and aquaculture in a new and innovative way. Fish which are reared in a tank produce nutrient rich waste which is readily taken up by plants. The success of these systems are primarily dependent on culturing a healthy bacteria population which converts the fish waste into a form which can be easily assimilated by the plants. Aquavision is able to provide a design and / or installation service to meet your specific needs. 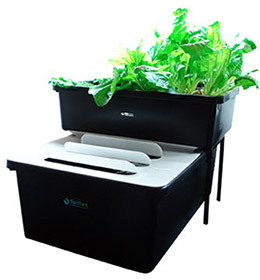 Click here to find out more about this exciting, new, ecologically sound way of growing fish and plants TOGETHER!